Washington is the most northwestern state in the lower 48, with landscapes varying from the Cascade Mountains to forests. The capital city of Washington is Olympia, though the state’s largest city, Seattle, is world-famous for coffee shops, a vibrant cultural scene, technology industry, the iconic Space Needle, Pike Place Market, and is also home to the NFL's Seattle Seahawks. Washington is home to nearly 7.4 million people and sits just south of Vancouver, Canada, and north of Oregon, with Idaho to the east. Washington is familiar with substance abuse concerns, as heroin and opioid abuse have been plaguing the state for many years. Experiencing a peak rate of opioid-related overdose deaths between 2006 and 2010, Washington has seen prescription opioid overdose rates decline since 2010, dropping from 573 to 550 deaths, according to the National Institute on Drug Abuse (NIDA). However, since the same time heroin-related overdose deaths in the state have increased from 60 to 303, but synthetic opioids like fentanyl have not been as pervasive in Washington as in other states. While heroin abuse and overdose is not new to the state of Washington, according to the 2017 TEDS (Treatment Episode Data Set), about 28 percent of all admissions to addiction treatment programs were for heroin or another opioid as the primary drug of abuse. The next most common primary substance of abuse was amphetamines at 23.9 percent, followed by alcohol at 12.2 percent of all admissions. The Washington State Alcohol and Drug Abuse Institute reports that after a significant spike in drug crimes involving most major substances, 2010 started another increase in crime lab cases involving heroin and methamphetamine, which continued through 2016. 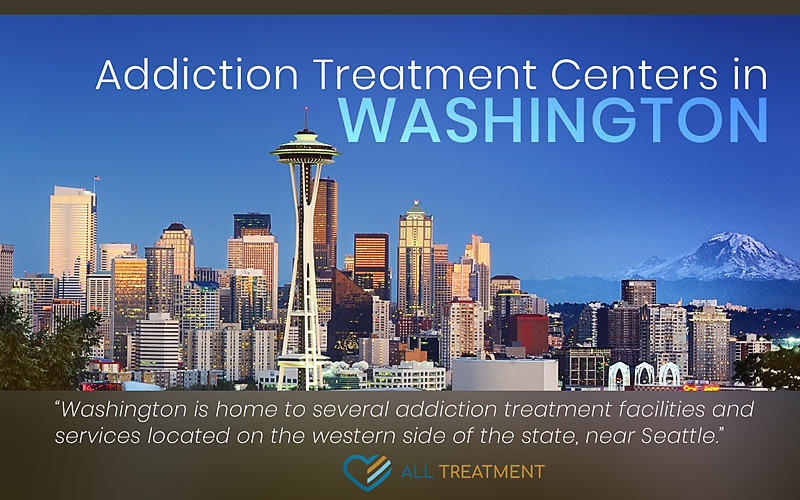 Washington is home to several addiction treatment facilities and services located on the western side of the state, near Seattle. Drug abuse and addiction treatment include varying levels of care, depending on the severity of addiction and the type of support needed.